Listen, gang. I’m going to share this with you because it really is just too good to keep to myself, but you cannot, under any circumstances, tell my kids what I’m about to say. Ever. That includes you, Mom. For loads of us, today starts six weeks of avoiding meat on certain days. And while options are certainly way better than when I was a kid (fried fish? or pizza? which would you like? ), it can still be a challenge, particularly when our kids are fixated on chicken and beef for dinner. Sure, you can bring out the pasta and the olive oil and garlic or the tomato sauce, and you can chuck some shrimp in there, but sometimes you need a meat-and-potatoes feeling dinner even when there’s no meat involved. Enter the salmon burger. It’s hearty, it sits on a potato roll so you can eat with your hands, it feels all manly and stuff, and it’s darned healthy most of the time (check your labels! some of those salmon burgers in the freezer section are terrifying!). It’s also one of those things that’s easier to make from scratch than hassling with pre-made and frozen. And these, my lovelies, have a secret that makes them both more delicious and way healthier. Are you ready? Because this is the part where you read in silence. Ixnay on the aringshay with the ildrenchay, capice? The secret is this: You know how we use breadcrumbs as filler/binder in hamburgers and meatloaf and those sorts of things? 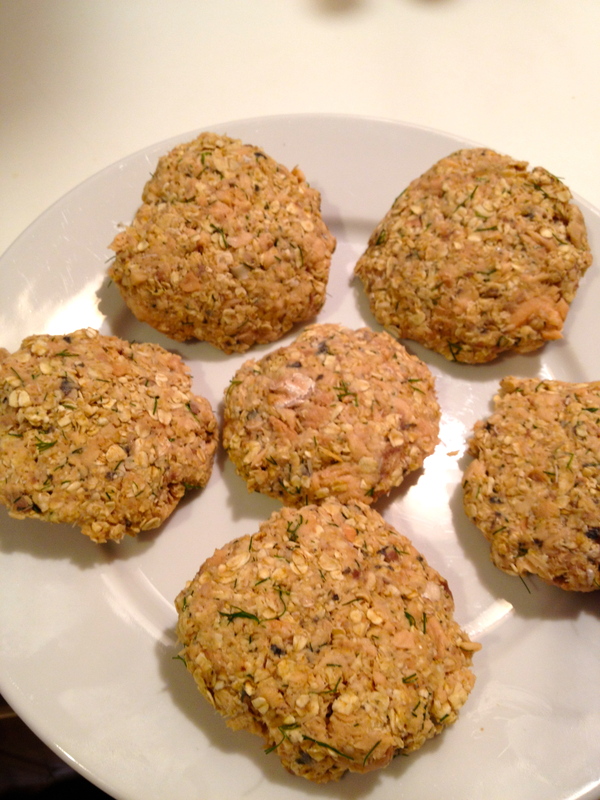 These yummy meatless burgers use oats. HA! Whole grains and fiber goodness that makes the outside of these deliciously crunchy like a “real” burger, and your kids will never suspect a thing. Eat your heart out, Jessica Seinfeld. We real-world moms have this one covered. 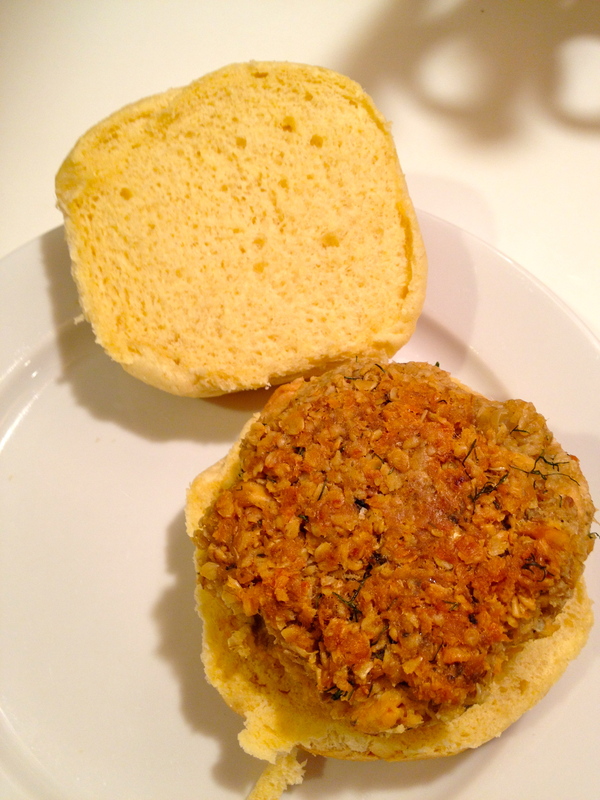 You’re going to use quick-cooking oats for these burgers. Don’t have those? Give regular oats a whirl in your blender or food processor to break ’em up–same difference. Mix them up in a bowl with your salmon and your egg and all the other yummies in this recipe, gently put ’em in a hot (HOT!) pan with a little olive oil, and you’ll have a meatless meal your kids and your pediatrician will love. Rock on with your bad grain-hiding self. You’re going to start with cooked salmon, either canned (oh stop it–it’s totally fine if you read your labels) or a filet or two that you’ve cooked (any old way) and flaked up. This does two things: it makes the burger assembly easier and it ensures nobody gets any tummy nasties in the very small chance your burgers don’t cook all the way through to a specified high temperature. The rest of this is super easy. Salmon, either a 14.75 oz can (look near the tuna at your grocery store) or a filet or two, cooked and flaked up. Heat a large skillet over medium-high heat until it’s screaming hot. In a bowl, gently stir together everything up to and including salt and pepper, flaking up the salmon as you go, until everything is looking all combined and burgery. Take a small handful of the mixture and squeeze it together–if it doesn’t hold in a ball, add a tablespoon or so of olive oil to the mix. Using your hands, form the mixture into burger patties, making sure they’re flat in the middle and that you’ve squeezed them enough that they’ll hold together. Pop them into the fridge for a few minutes. This’ll help them hold together on the stovetop. Once your pan is super hot, coat the bottom of it with oil. You’re not deep frying–you just want enough to stop the patties from sticking. Gently lay your burgers in the pan, giving them a little room to groove (I cooked mine in two batches). Cook them for about three minutes, gently lifting one up after that to see if it’s browning. Once it’s brown on the cooked side, carefully flip your burgers over and let them go until they’re crunchy on both sides. Serve–we liked ours on potato rolls, but you have them however you’d like. 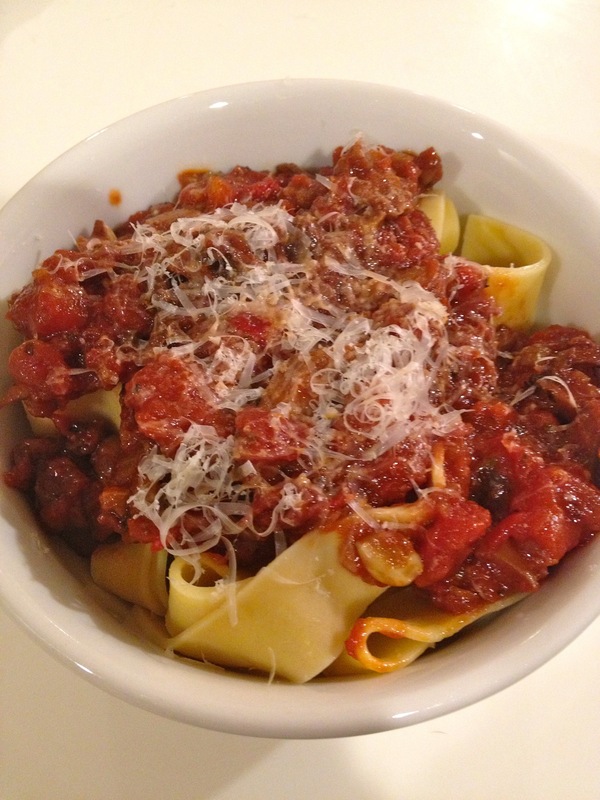 I’d planned to mess around with this recipe today and post it for y’all tomorrow, but I just finished wolfing down a bowl of its deliciousness and couldn’t wait to share. If you were here (live and in person), I’d be shoving spoonfuls at your face and demanding that you try it. Because it is that good and so very healthy. Quinoa is a grain that’s gluten-free and a pretty darned perfect source of protein, which makes it an allergy sufferer’s dream. I don’t fall into that category; I eat it because it’s super easy to cook, very versatile, and fills me up for a long time. You can use it just like rice if you want to, but I like it as a main dish. This recipe was my lunch today. Turn it into a more substantial lunch or dinner entree with some cooked shrimp, chicken, tofu, or even smoked salmon stirred in at the end. Asparagus would also be a lovely addition, but any veggie you have in the house would probably work beautifully in this dish. That said, this would be a really good side dish alongside grilled chicken or fish. I found the idea for this online, but the original called for raw red onions, cumin, and red pepper. And I’m sure that’s all good, but I have to talk to people in the afternoon, so raw red onion isn’t going to work for me (it’s super potent stuff), and I wanted more fresh and light than smoky this time around. I substituted cooked regular onion (you could use dried onion flakes too), swapped out the seasoning, and cooked it in broth instead of water to give it a little more flavor. You’ll see lemon juice in this recipe. If you like lemon–like, really like it–go ahead and zest your fruit, and stir the zest in at the end. It’s really lemony that way. I happen to like lemony, but you might want to give this a try without that step the first time around and see if you think you need more citrus. I’m betting you could also use orange for a different flavor. You’ll also see sliced almonds. I like them for their crunch, but you can leave them out and use more celery or chuck in some raw carrot for the same kind of mouth feel without nuts. Heat a small/medium saucepan over medium heat. Spray it with something nonstick and saute the onions until they’re soft and translucent. In the meantime, juice your lemon into a 2-cup measuring cup. To the juice, add broth until you have 1 1/2 cups of liquid. Once the onions are cooked, pour that mixture into the pan and stir in your rinsed quinoa grains and salt. Bring that to a boil, clamp a lid on it, and cook it over medium-low heat until most of the liquid is gone (just like rice). 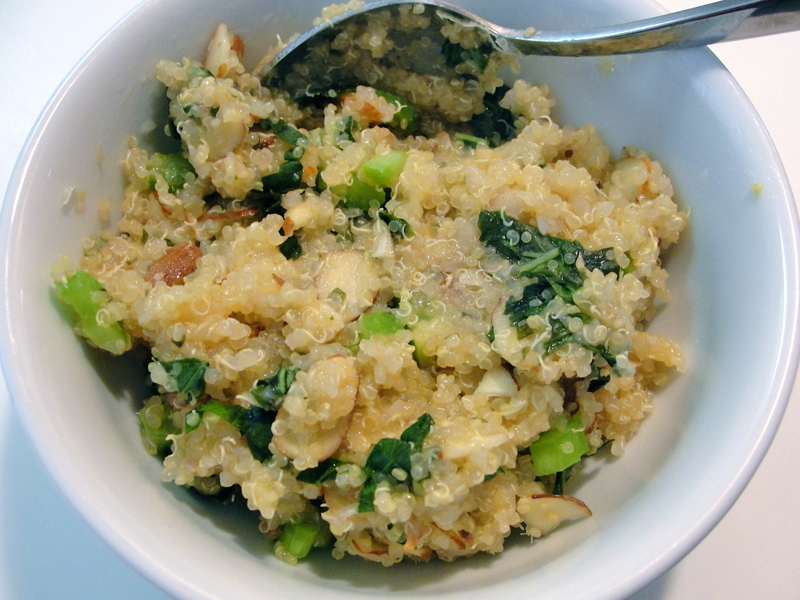 Remove the quinoa from the heat and stir in the basil, celery, almonds (or substitute), and, if you want a lotta lemon, the zest from your lemon. Stir everything together and let it sit about 5 minutes. 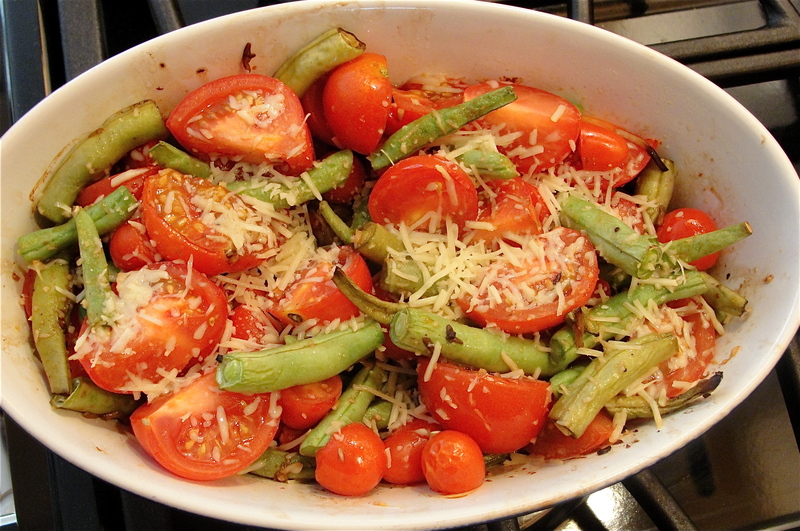 Spoon it into bowls (2 for entrees, 4 for side dishes) and sprinkle it with the parmesan. I made this for a neighbor’s cookout yesterday, basing it loosely on Alton Brown’s guacamole recipe. Despite having less-than-stellar avocados to work with, it was pretty darned good, and gobbled up pretty quickly at the party. Best of all, it took all of seven minutes to put together, which isn’t a whole lot more than I’d spend opening a package of the grocery store stuff and stirring it up before serving. Cut your tomatoes in half around their fat side (so you get a stem end and a bottom end). Gently squeeze them over your garbage can until the seeds plop out. Then finish quartering the tomatoes and set them aside. Put your onion and garlic into a food processor and pulse until they’re finely chopped. Put the tomatoes in and give them a whirl to start chopping. Scoop the avocado out of its skin, and then add it and the rest of the ingredients and pulse to your desired consistency. Stir with a spoon to make sure the lime juice gets all through the dip (it’ll keep the guacamole from turning brown). Transfer into a bowl, cover with plastic wrap (pressing it down so the wrap actually touches the dip), and refrigerate for at least an hour before serving. I know, I know. Everybody already knows how to roast pumpkin seeds. Simple, basic, blah blah blah. I have a trick. And you’re going to have to trust me on it. We were away with friends for the weekend a little while back and we stopped at a local farm to buy pumpkins. “For the kids,” of course. Mind you, the moment we got back to the house, the knives came out and we ripped into the biggest one to make a funny face, complete with snot hanging out its nose. Anyway, there was a group decision that we should roast the seeds. One of the men started scooping them out of our gourd, and I heard the sink start running. Which sent me into the kitchen at mach 3. “DON’T RINSE THEM OFF! !” I yelled, snatching the bowl away. Crazy lady in the kitchen, y’all. But that’s the secret. Don’t rinse off the pumpkin goo. And before you start faux retching (I have children. I can tell fake from real heaves, you sissies), try it. Just once. I promise, you’ll never wash your seeds off again. Because that stringy goo roasts down into a crunchy coating that gives the seeds the flavor they were intended. They taste like pumpkin. Imagine that! Heat your oven to 350 degrees. 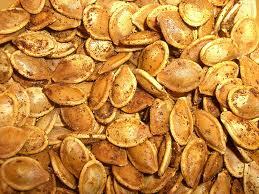 Scoop the seeds out of Mr. Jack O’Lantern. Resist the urge to rinse. RESIST. Pull them apart so they’re almost all individual seeds, but leave the orange strings on them. Toss the gooey seeds with salt to taste. Cover your baking sheet with foil and spray it liberally with cooking spray. Lay the seeds on it in a single layer (patience, grasshoppah). Pop them into the oven. Gently turn the seeds about every 15 minutes or so using a flat spatula. Let them roast for about 45 minutes, until they start to pop. Just like popcorn. Try one to make sure they’re crunchy and amazing, let them cool, and have at it. My mother’s neighbor has quite the prolific garden this summer and we were gifted a plastic shopping bag full of green beans, cherry tomatoes, and zucchini. The zucchini will become bread (vegatables? What vegetables? It’s a delicious baked good, kids!) and we snacked on the beans and tomatoes for a few days, but there was no way we were going to eat them all raw like that. ‘Twas a huge bag. I’d already made two pizzas for dinner last night (more on that soon!) and didn’t feel like having two or three more bowls to clean, so steaming or salad-making was out. I thought for a bit and remembered a delicious tian I’d made last Christmas, and started improvising based on that recipe, which called for a stovetop step and an oven step, and more ingredients than I had around. You’ll notice a lack of measurement. I tossed what I had into the casserole until it was about 2/3 full–I’d guesstimate I used a cup each of beans and tomatoes for the small dish I had. The beans still had the snap and a bit of the taste of raw beans. If you like yours more thoroughly cooked, steam them or give them a quick whirl in boiling water before you add them to this. 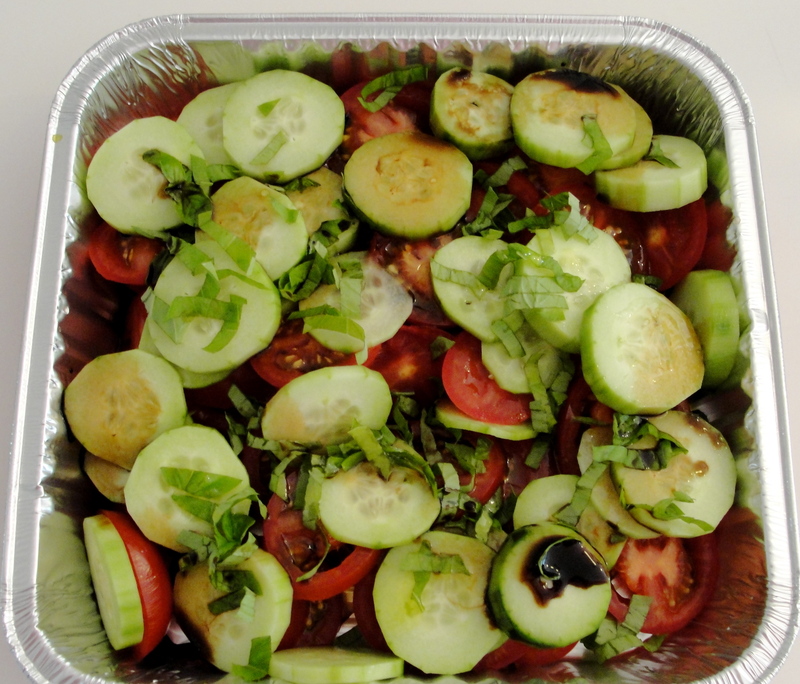 Spray a small casserole dish with olive oil or cooking spray and heat your oven to 400 degrees. Combine beans and tomatoes in the dish. Drizzle the oil and vinegar over them, and stir to combine. Sprinkle with cheese. Bake until the cheese is melty and starts to crunch up–about 15 minutes or so. I bet those zucchini would have been good in here, now that I think about it. 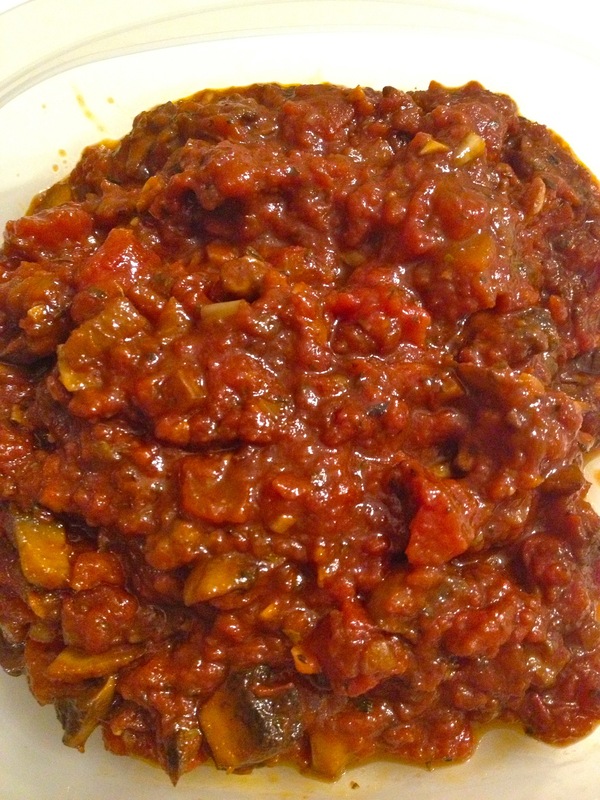 And truthfully, I’m going to try this with only tomatoes next time I have a bunch laying around–they were just amazing. Love summer tomatoes this way! Let’s start with the obvious: This is hardly a novel idea. Nor complicated, sophisticated, or terribly chef-ish. But like I told you in my first post here, I’m a working mom cooking for my family. This works for us. We eat this salad all summer long, when produce is its freshest and the tomatoes (garden or farm market, please–none of those grocery store marbles) burst with flavor straight from their container. I’ve been known to cook up a half-pound of Rotini or shell pasta and toss it in here along with some shrimp to make a light entree. Notice there are no proportions to this recipe. You make as much or as little as your family will eat. It’ll keep in the fridge for a day or two, but just-made is best. Tomatoes. I prefer Campari for their size and sweetness, but any variety will do. Cucumbers. I prefer English, but again…whatever works. Slice the tomatoes and put into a bowl. Give your cuke a quick peel, slice it, and add it to the tomatoes. Then, shred your basil leaves (you know how, right? Stack the leaves, roll them up into a cigar, and slice the cigar into shreds) and sprinkle that over top. Drizzle with the oil and vinegar (I prefer about a 4 to 1 ratio of vinegar to oil), and enjoy.